Home » Blog » What is the Best Wood Floor Colour for You? Choosing the perfect wood floor colour for your home or business can be a tricky decision. With so many options out there, how are you supposed to know what’s best? It is important to remember wood flooring should compliment your room and the style you are going for, acting as its own centrepiece as well as giving your room the overall look and feel you were going for. There are a variety of options available when it comes to wood floor colour, staining being an option that many opt for when they feel like changing their current style. You can go for whatever you feel suits your room best – darker wood for a more modern feel, or light for something a bit more rustic. At Quicksand Flooring we know it can be difficult to choose exactly what is best for you, which is why we’ve put together a short guide to help you out! If you need help with your wood floor colour, keep reading. If your room is already furnished it is important to consider the colour and style when choosing your new wood floor colour. For example, if you already have dark furniture in your room it is a good idea to opt for something a bit lighter on your floor. This will help lighten up the area as well as show off your furniture as it contrasts from the colour on the floor. It will also allow your room to appear larger, where dark flooring may have made it feel smaller. Sometimes wood flooring of a similar shade to your furniture can make for a nice effect, though you have to be particularly careful with the exact shade you choose and ensure it is not identical. If you decide to do this, use your walls to give a contrast so that your room doesn’t appear too flat. Choosing to have wood flooring in a small room can really give what may appear to be a tiny room a lot of character. With a smaller room you should always consider the lighting available in that space, darker rooms automatically appearing smaller. Choosing a lighter wood will make the room appear larger than it is, rather than closing it off with a dark wood floor colour. For something a bit different, you could go for a grey tone stained wood. This keeps the room light while having a unique feel to it. When you have a large room there are a lot more options than a smaller room, not having to necessarily consider how big the room is going to feel. Of course a lighter colour will still make your room appear larger than dark, but this is not as essential as when you have a smaller sized room. When it comes to a larger room many people want the room to feel cosy despite its large size. For this we would recommend a darker wood, though nothing too close to black unless you are going for more of a modern feel. Go for a wood with warm, deep tones that will provide a rich colour to your room and give it that cosy feeling. Whether you’re looking to change your current wood floor colour with a fresh stain, or if you need a completely new wood flooring, Quicksand Flooring are happy to help. We have a range of colour options available, no matter what style it is you’re looking for. For more information on our services, contact us! 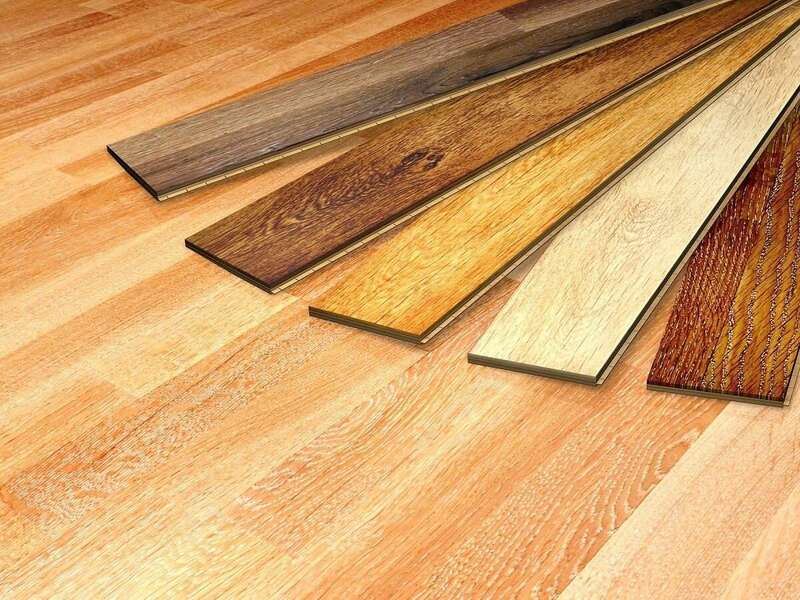 By Daniel Wilson|2019-04-12T09:02:59+01:00February 12th, 2019|Commercial, Domestic, Services|Comments Off on What is the Best Wood Floor Colour for You?